STEP rides. Helping people get to where they need to go. 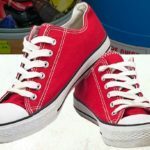 It is the policy of STEP to discontinue contacting any person upon that person’s oral or written request directed to the organization, its professional fundraiser, or other agent. STEP respects the privacy of its donors. We do not sell or exchange any individual donor information. Our forms may request users to give us contact information that may include name, email address, address, interests, and similar information. We do not store sensitive information such as credit card numbers. STEP uses your information to complete a transaction, communicate back to you, and update you on our program. STEP keeps all donor information private and confidential at all times. We do not exchange donor information, or sell any donor or volunteer mailing list/ information to other organizations for the purpose of fundraising. We do not mail to donors who choose to not receive future communications from STEP. If STEP is notified by a donor that he/she wishes to not receive our communications, STEP’s Business Manager removes them from STEP’s mailing list and verifies that the donor is removed from all STEP correspondence. UPDATE 9/29/17: The alley work is now 100% complete! There should be no further expected closures or restrictions. Running from approximately July 17 to August 31, 2017, there will be roadwork in the alley behind STEP. This will significantly impact parking and access to the building. Please call 952-925-4899 if you have any further questions. Food, clothing, or school supply donations can now be brought to the back alley door. The alley can be accessed from Brownlow Ave or Library Lane (but not 1st St NW). The alley can be accessed via STEP’s parking lot over a car-width patch of gravel at the end of the lot. After shopping in the food shelf, groceries will again be picked up at the back door off the alley. The parking lot is now open. The alley can be accessed via STEP’s parking lot over a car-width patch of gravel at the end of the lot. The Clothes Closet will operate as usual. Tuesday afternoon produce bags are again being distributed out of the alley door. As always, we recommend calling ahead to check on availability. 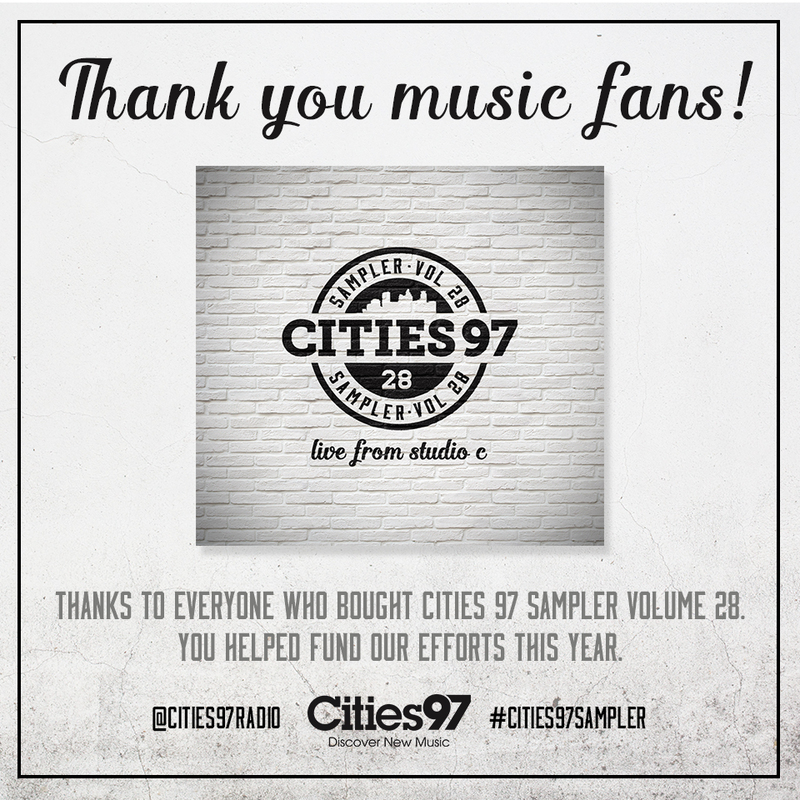 Thanks to everyone who bought Cities 97 Sampler Volume 28. We are so excited to find out that we received a grant this year. A comprehensive, well-researched series from the Star Tribune is out and explores the challenges escaping poverty and how where you grow up can make a big difference. three part series can be found here and is well worth the read. 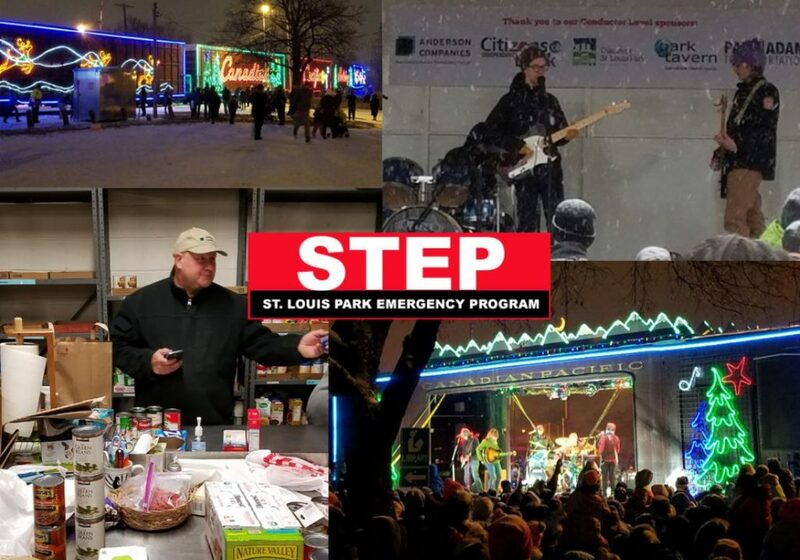 This a great article written by Anderson Companies about why they support STEP through donations, volunteering and sponsorship of the Canadian Pacific Holiday Train. Did you know STEP offers free rides to appointments for your neighbors with limited access to transportation? I sat down with the transportation coordinator, Claudia Kennedy, to learn more about it. Claudia wanted to stress, “These rides are given by volunteer drivers in their own personal vehicles. They don’t get paid for doing this, they do it because they want to help. They do it because they enjoy getting to know the clients and form relationships with them. Some of them donate their time almost daily. Others volunteer between busy schedules once every few weeks, when they can. All of them do it for free and the client they are driving pays nothing for the service. It’s absolutely free to the client”. I asked Claudia about any memorable situations. Claudia had no trouble recalling one ride in particular that got very serious and had the driver going way above and beyond. STEP drivers all receive a background check and must have a reliable vehicle. They also tend to be incredibly generous people who are very much appreciated! Does this sound like you? We need more drivers! 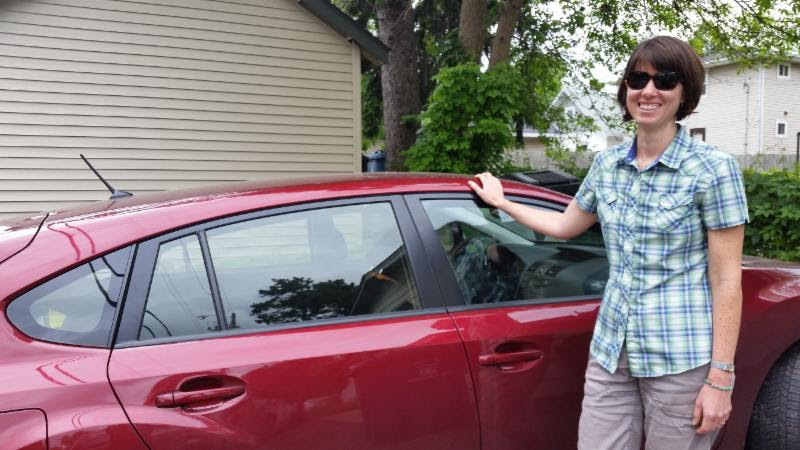 Heather Alvey, my wife, volunteers as a STEP driver. Like most of us she’s very busy and can only do one ride every few weeks or so. It’s not much, but to the person receiving the ride it means a lot. Can you help too? If you’d like to help please complete a volunteer interest application at this linkand return to Allison at allison@stepslp.org or 6812 W Lake St, St. Louis Park, MN 55426. The Transportation Program is largely funded by a generous grant from the Park Nicollet Foundation.